Australian Christmas Tradition: Singing Six White Boomers! 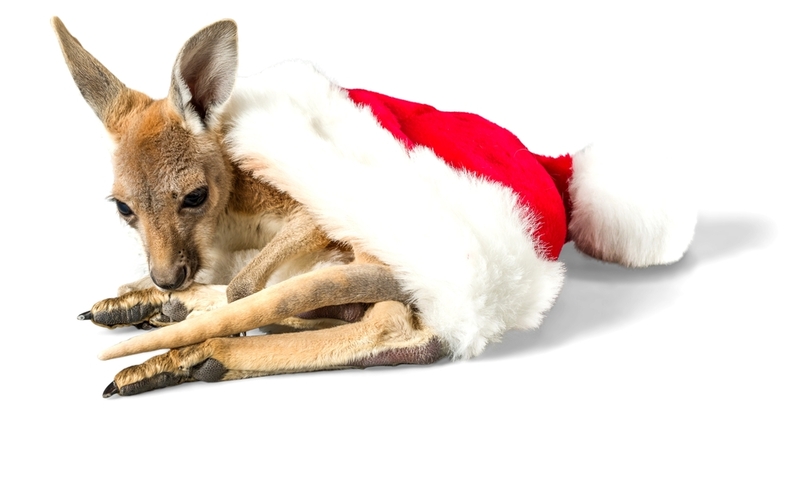 Can you imagine looking up into the sky and seeing kangaroos pulling Santa’s sleigh? No? Perhaps you could if you lived in Australia and it was really hot on December 25th. A Christmas song, Six White Boomers, tells the story of how the Australian heat is too much for Santa’s reindeer. 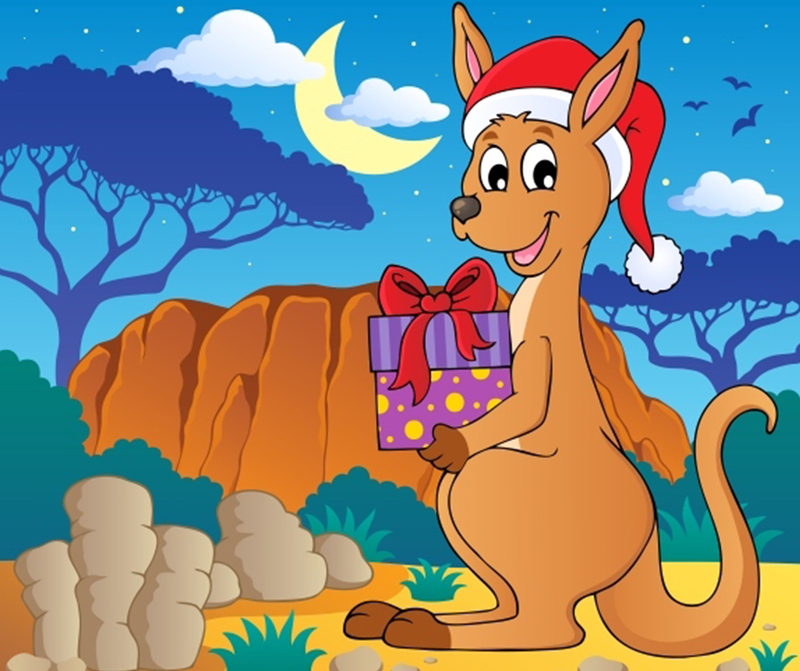 The song, popular with school-aged kids, explains that Santa’s reindeer get a rest while six white boomers (boomer is Aussie slang for a male kangaroo) lead Santa’s sleigh through Australia! After all the toys are delivered, they even help a little joey (a baby kangaroo) find his mommy. 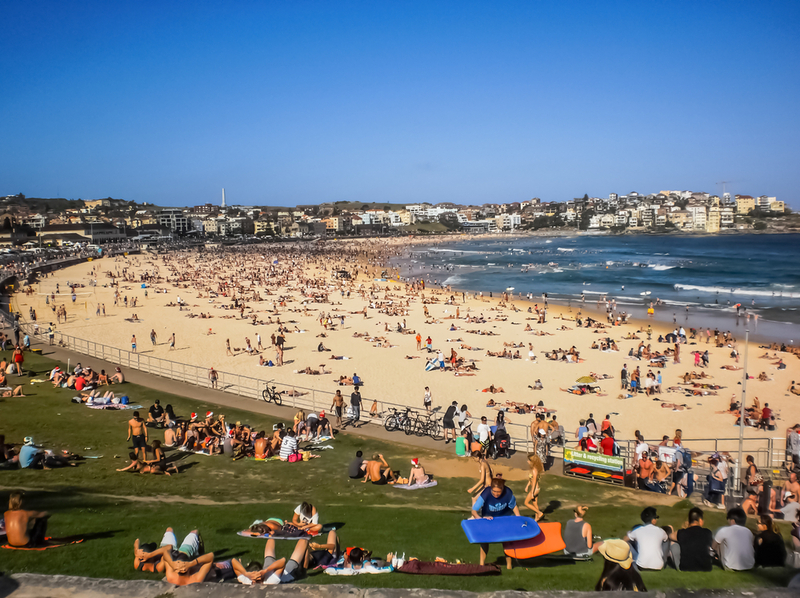 The Australian heat has inspired not only a Christmas song but also many of the holidays traditions. Christmas day dinner is typically cold meat, salad and a seafood selection, and the day is often spent playing sports such as cricket in the backyard and going for a swim. While those in the Northern Hemisphere think of Christmas carolers all bundled up, people in Australia sing in the warm night air. 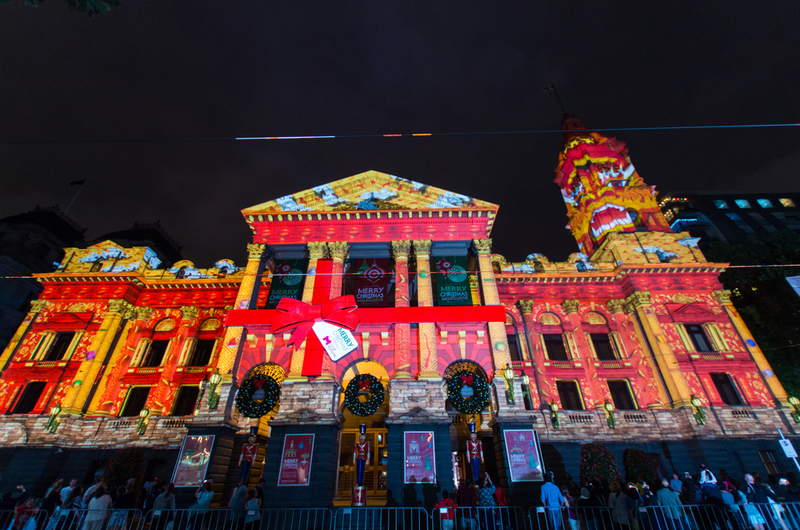 If you are in Melbourne, you can even attend a famous outdoor concert on Christmas Eve–Carols by Candlelight at the Sidney Myer Music Bowl. Do you and your family want to sing along? Check out the lyrics to Six White Boomers below! Feliz Navidad from Mexico! 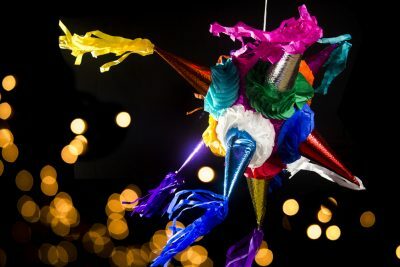 Las Posadas is an important Mexican tradition during the holidays - complete with prayer, music, food, and piñatas. 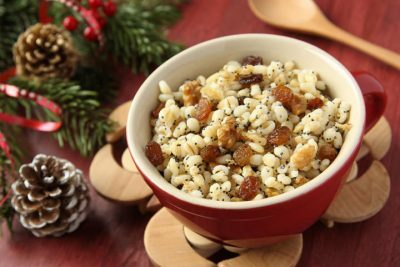 Christmas Traditions in Ukraine: Holy Supper! Ukrainians celebrate Christmas on January 7th and enjoy the Sviaty Vechir, or Holy Supper, on January 6th. Learn about this tradition! South African Christmas Traditions: Braai! December falls during the summertime in South Africa. To celebrate the holidays, South Africans have a delicious outdoor braai, or barbeque!